There aren't many people who know more about fear than Batman, and in Arkham City he's got the clothes to prove it. If you needed an incentive to invest in the Blu-Ray edition of the Green Lantern movie - and let's face it, most people will - then an exclusive Arkham City costume is a pretty good start. If you're willing to shell out for the movie - and you intend on playing the game on the PS3 - you can get Batman's "Sinestro Corps" costume. The Sinestro Corps is a rival to the Green Lanterns that uses the yellow energy of fear, rather than the green energy of willpower. When the Corps was looking to fill out its ranks, a yellow power ring sought out Batman, figuring that he knew a thing or two about scaring people. Fortunately - at least for the criminals of the galaxy - the yellow ring rejected Batman after discovering his immense willpower and previous exposure to a green power ring. Not before gifting him with some snazzy new threads though, even if he was only wearing them for a few seconds. 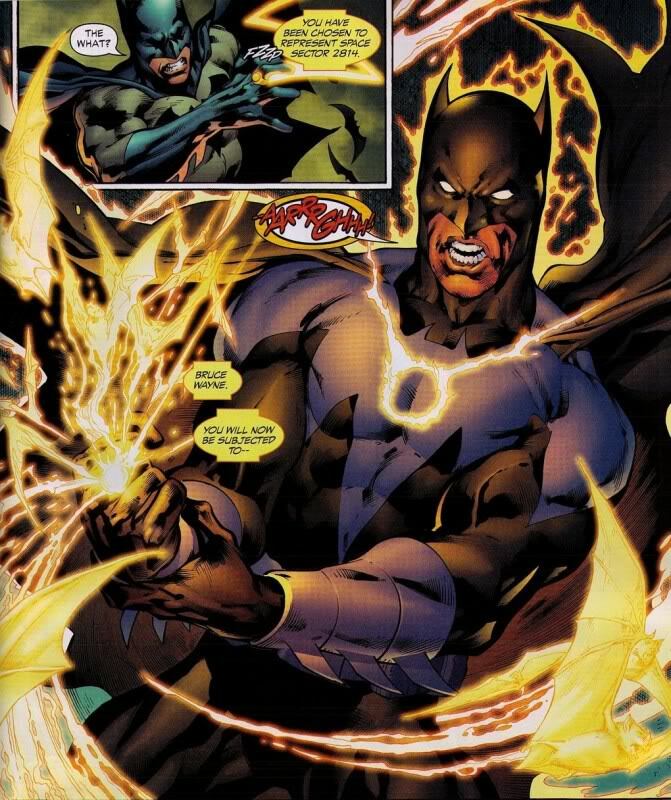 The costume, which apparently grants Batman "the ability to fight crime with the help of the yellow power of fear," can be used in both the game's campaign mode, and in the challenge rooms. It almost sounds like the skin grants some kind of special ability, but I'd guess that that's really just flowery language to make it sounds more appealing. Unfortunately, you're going to have to be a really big Arkham City fan - or a big Green Lantern fan - for the skin to even begin to be worth the money.